Murray Whelan, Labour party fixer and advisor to the Minister for Water, has decided to try and give up cigarettes and get fit, joining an exclusive fitness club. There he meets the beautiful aerobics instructor, Holly Deloitte, who he’d last met when she did a work experience placement as a tubby, pimply youth. This is quickly followed by an encounter with her ex-boyfriend, Steve Radeski, a bodybuilder with a roid rage problem whose father was a member of the Polish weightlifting team at the 1956 Melbourne Olympics and had defected, marrying a local girl. After a narrow escape, Whelan heads to a meeting about Melbourne’s bid to host the 1996 games, the awarding of which is perceived to be the only way the Labour party will stay in power. He’s asked to switch jobs for a week to help manage the visit of three IOC members - from Senegal, South Korea and Poland - and agrees to do so, but only after bargaining that his son, Red, currently living with his mother in Sydney, gets to hand the Olympic torch to the delegates at a gala dinner. His task is to marshal an aboriginal agitator who’s intent on using the games to campaign for land rights. It seems to be going to plan until a young aboriginal tri-athlete is murdered and one of Whelan’s colleagues goes missing. And to add to his woes, his car has been stolen, he’s fallen for his doctor who shares his smoking habit, and Holly wants his help dealing with Radeski. All he needs to do is keep a lid on things until after the gala dinner, but that seems all but impossible. 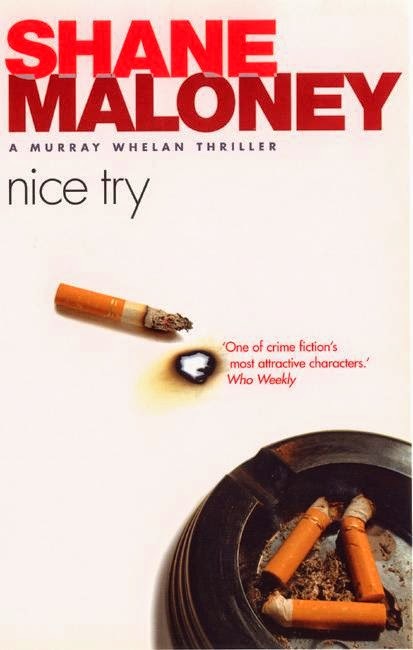 Nice Try is the third book in the Murray Whelan series of political satires/crime stories (my reviews of the first two are here and here). Whelan is a three steps forward, two steps back kind of political operator -- wise to the games, shenanigans and back stabbing, but unable to always capitalise and often out manoeuvred or prey to rotten luck. He also has a habit of walking into explosive situations and those involving dead bodies. This is the case in Nice Try where he is co-opted into helping out a young woman whose former beefy boyfriend is seriously unhinged and roped into trying to shepherd a three person IOC group in Melbourne to assess the city’s bid to host the 1996 Olympics. Whelan is affable, self-depreciating, shambolic lead character and Maloney populates the story with a set of colourful schemers. The story has some nicely observed and amusing political satire and farce, though it’s never quite laugh out loud funny, and the contextualisation with regards the Olympics bid and the previous games held in the city is well done. 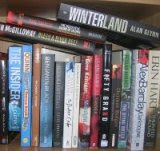 Whilst the plot is engaging, it does overly rely on a couple of large plot devices mainly to do with the personal intersection of a number of characters that all happen to be in Whelan’s life at the same time. Overall, a tale that is a little too contrived, but is nonetheless a fun read.